Within a month, 14-year-old Mathivathan suffered a complete liver failure that has now put him on the deathbed. 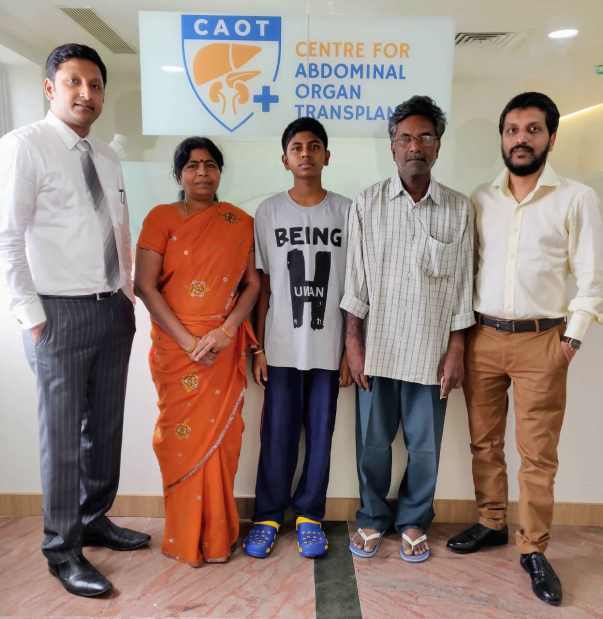 If he is not able to get a liver transplant as soon as his condition stabilizes, he has little chance of survival. His father, Ambikapathi is an auto driver who has nothing left to save his son. Without help, this young child's survival looks uncertain. Mathivathan is a class 10 student. His classes began early and he was busy preparing for an important academic year. One day after class, he came back home tired. In the next few days, the tiredness evolved into a high fever. Varalakshmi and Ambikapathi panicked and took him to the nearest clinic. Doctors said that he had jaundice. 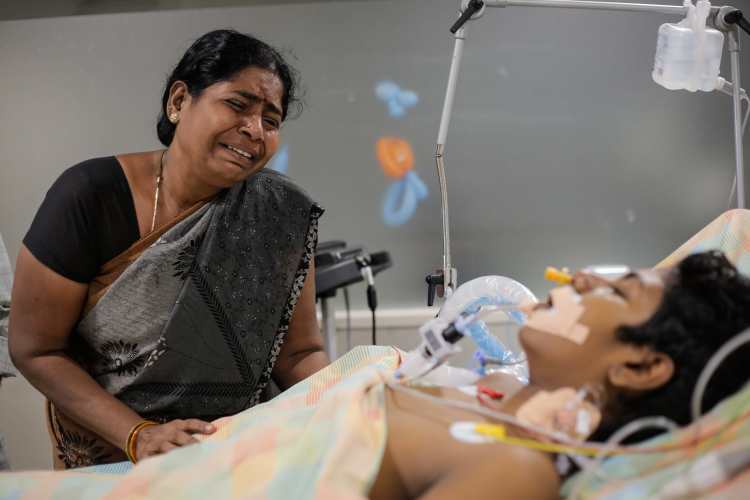 Varalakshmi and Ambikapathi stood there, frozen, their mind processing what happened to their child. 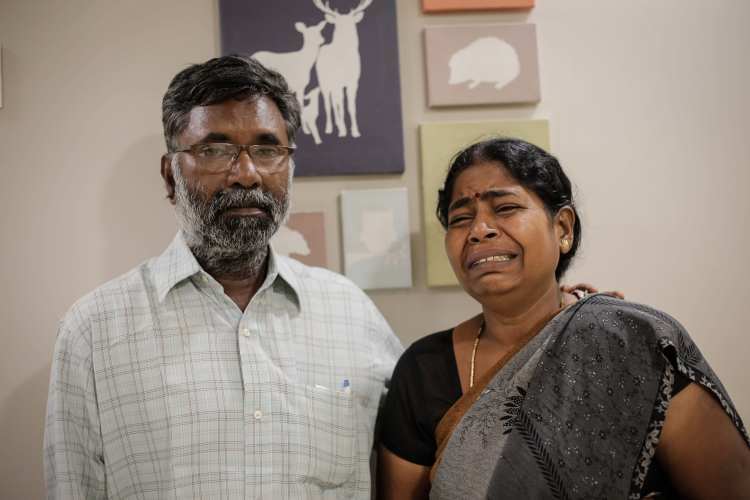 “It can’t be true”, said Varalakshmi to her husband, how can their child who was running to school and playing around a month back be lying here, his liver completely failed? Ambikapathi didn't have an answer. 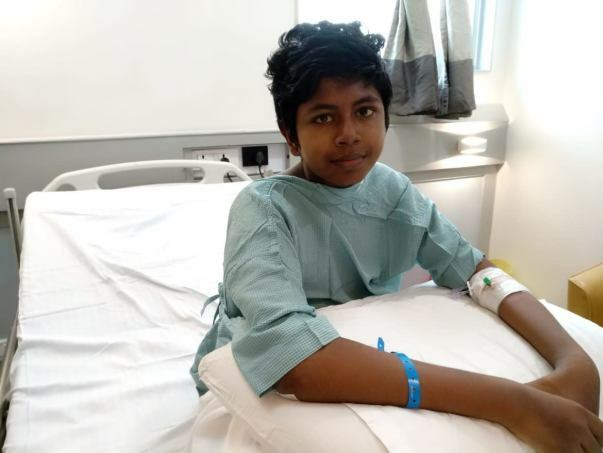 Soon, Mathi’s condition deteriorated. Ambikapathi and Varalakshmi had been living with grief. Two tragedies have hit this couple and they never recovered from the pain. They have lost two children already. 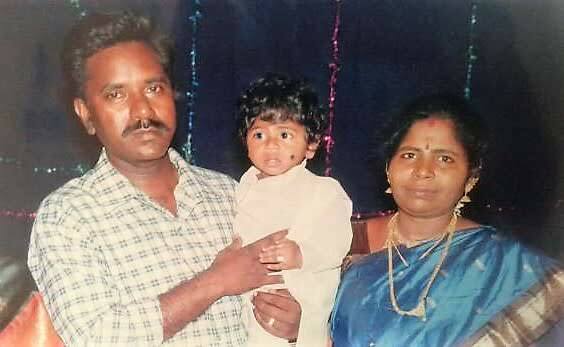 Mathi is their second son, born after their first child died in the womb. The third child died in 8 months of pregnancy. Finally, they had another son, Karthi, who is now 10-years-old. "We protected Karthi and Mathi with our lives. We were always afraid to lose them. Now with Mathi's liver failure, it feels like Yaman is back for another one of our children." 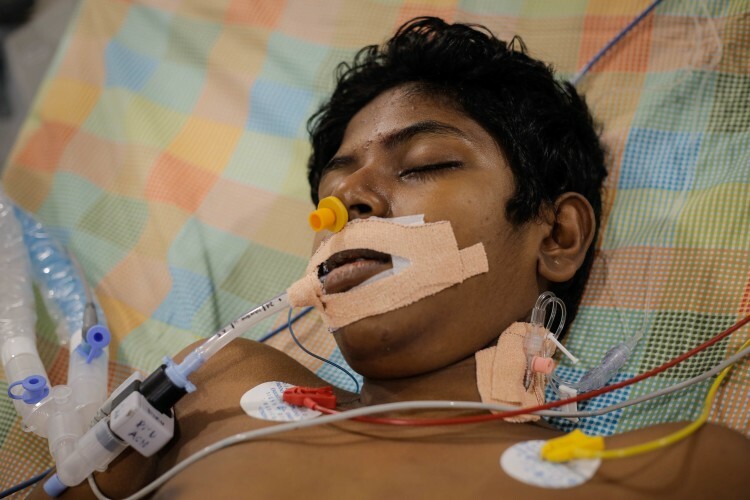 Mathi’s condition has worsened. 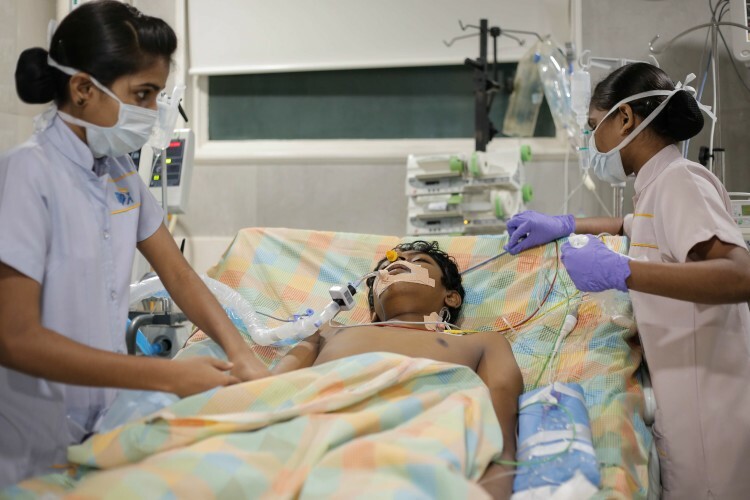 After spending 25 days in the hospital, he was admitted to the ICU after experiencing seizures. After treatment, he recovered but in a few days he developed a fever again and this time it was for the worst. He has been unconscious for 3 days and this has alerted the doctors. They said that his liver has to be transplanted as soon as possible and he has to be shifted to a hospital with better facilities. Doctors have started the treatment to keep Mathi stable till he has the strength to undergo the surgery. 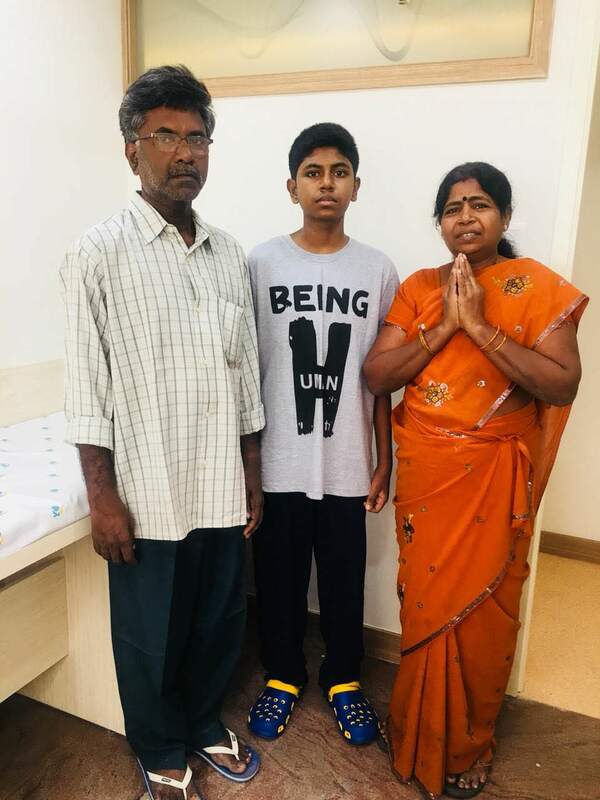 Ambikapathi has come forward to donate a portion of his liver. 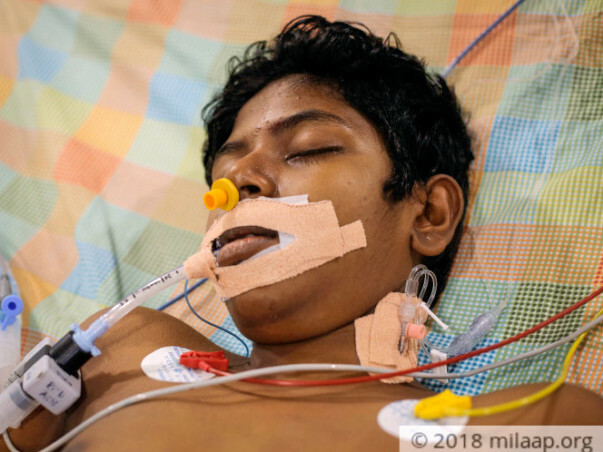 The surgery needs to happen as soon as Mathi’s condition is stable. The transplant will cost 26 lakhs and Ambikapathi has no means to arrange this amount. The only thing this auto driver and his wife could do now is to pray that God doesn’t take away another child from them. 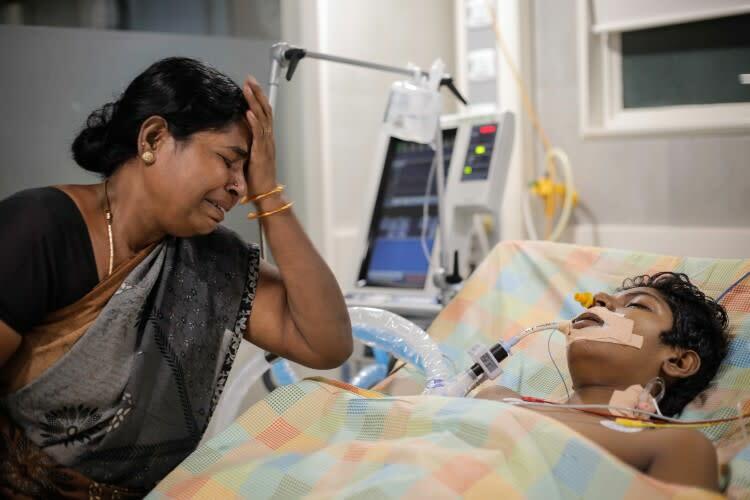 Their son lies in the ICU, waiting for help and they know that this is his final chance. Their hope now rests on the help they can get from kind-hearted individuals. We are happy to inform you that Mathivathan has been discharged and doing well. We would like to thank you for all your support. Thank you so much for the love and support you have shown towards Mathivathan. He is hemodianamically stable and recovering well. He is shifted to ward and expected discharge in one or two days. Thank you so much for the immense support you have shown towards Mathivathan and his family. We would like to share some news with you. Master. 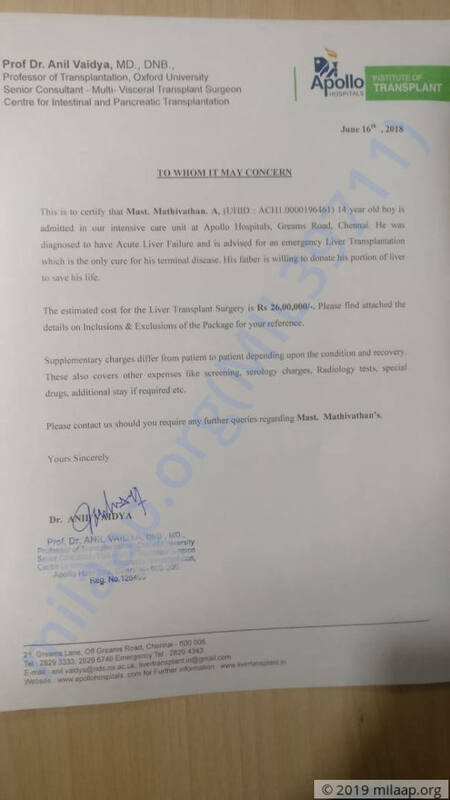 Mathivathan successfully underwent the liver transplantation on 20/06/18. He is in liver ICU, post op day 2. The patient is hemodynamically stable, encephalopathy completely settled and extubated yesterday. His father was the donor and he is also recovering. We could not have done this without your support. We will keep you posted on further developments regarding his health.